MESA -When it comes to attacking Russell Pearce and his employer sanctions law, fast food franchise owners Jason Levecke and Mac Magruder have taken a three pronged approach: fund Pearce's opponent, subsidize a misleading personal attack campaign, and finance an initiative to weaken laws. "Now that the curtain has been pulled back, it's clear that these fast food franchisers are only looking to line their pockets. I think it's disturbing that they are spending so much money to attack me," said Rep. Pearce. According to campaign finance reports, Magruder and Levecke's personal donations make up nearly half of the funds given to "Mesa Deserves Better," the controversial group targeting Pearce with misleading personal attacks. 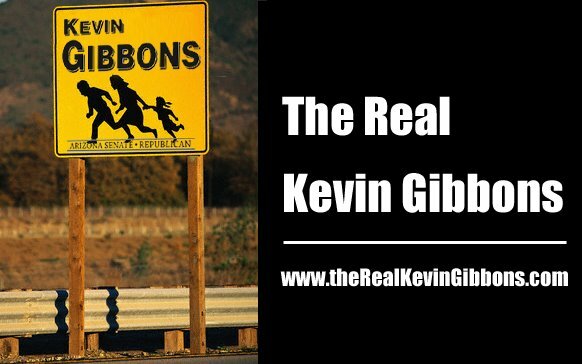 Affiliates of their "Stop Illegal Hiring" campaign donated the remaining funds, along with giving an additional $1,860 in donations to Kevin Gibbons. Their ill-fated "Mesa Deserves Better" personal attack campaign on Russell Pearce and his family has been decried by hundreds of supporters, the East Valley Tribune, the Arizona Republic, and even Governor Janet Napolitano. Russell Pearce is being challenged for the Arizona State Senate by immigration attorney Kevin Gibbons, who has outspent Pearce through donations from special interest groups. Democrats, and proponents of weakening the employer sanctions laws. "The ultimate goal of this group is to roll back immigration policies and weaken Arizona's Employer sanctions laws by any means necessary," said Pearce. "Their proposed law eliminates required use of E-Verify and its 99.7% accuracy rate in favor of the Federal I-9 process, which is prone to more fraud. They want to gut the law and make sure I am not around to do anything about it."